ALBANY, N.Y. -- The operator of a limousine company involved in a crash that killed 20 people was arrested Wednesday, state police said. Nauman Hussain pleaded not guilty Thursday on a charge of criminally negligent homicide in connection with the crash. A Cobleskill Town judge set his bail at $50,000 cash, CBS Albany reports. Hussain was taken into custody following a traffic stop on a highway near Albany, the New York State Police said in a brief news release. Hussain was the day-to-day operator of Prestige Limousine, and the son of the company's owner. State police and the National Transportation Safety Board are investigating the cause of the crash, the nation's deadliest transportation accident since an air crash outside Buffalo in February 2009 killed 50 people. The limousine ran off the road Saturday at the bottom of a long hill in Schoharie, 25 miles west of Albany. 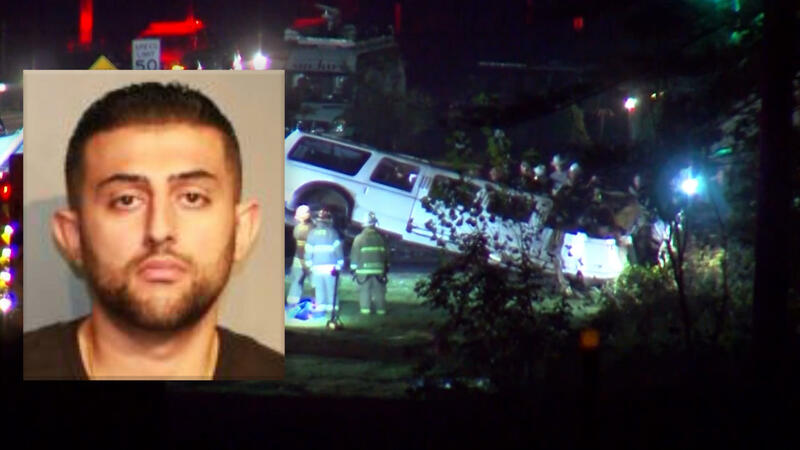 The crash killed two pedestrians and all 18 people in the limo celebrating a woman's birthday. The limo driver was among the dead. Prestige's lawyer, Lee Kindlon, has said that safety issues were corrected. He said the driver might have misjudged his ability to stop at the bottom of a hill. The driver's widow said her husband had expressed concerns about the company's vehicles. Kim Lisinicchia told "CBS This Morning" in an interview broadcast on Wednesday that there were several times she heard her husband, Scott Lisinicchia, state: "I'm not going to drive this, like this. You need to get me another car." But then "he trusted in what the limo company said, that the cars were all right." "He was in excellent health. He was an excellent driver. For over 20-plus years he drove a tractor-trailer," Kim Lisinicchia said. "I feel for these victims," she said. "I am in no way trying to make it seem like it's about me or my husband. I just want my husband to be vindicated. I have to stand for him, 'cause nobody else will." The limousine that ran the stop sign was cited for code violations on Sept. 4, including a problem with the anti-lock brakes' malfunction indicator system. Four of the Gansevoort, New York-based company's limos were cited for 22 maintenance violations this year, though none was deemed critical. State Department of Transportation spokesman Joseph Morrissey said a sticker was placed on the vehicle after the September inspection declaring it "unserviceable." He said Kindlon's assertion that the code violations had been corrected and the vehicle cleared for service was "categorically false." Kindlon said he doesn't think those infractions contributed to the crash.